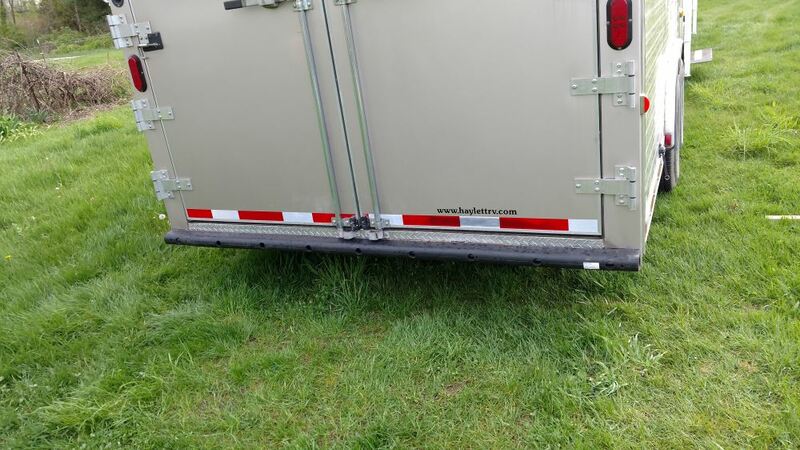 This round rubber bumper protects the rear of your trailer and provides cushion for your cargo as you load and unload. Call 800-298-8924 to order Redline enclosed trailer parts part number D3-96 or order online at etrailer.com. Free expert support on all Redline products. 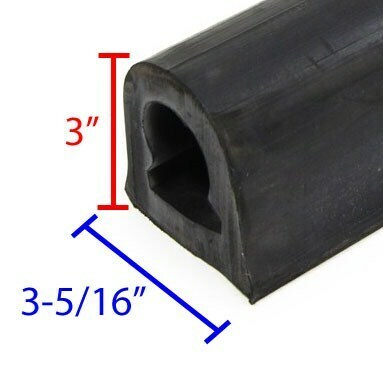 Guaranteed Lowest Price and Fastest Shipping for Pre-Drilled Round Rubber Trailer Bumper - 96" Long x 3-5/16" Wide. Enclosed Trailer Parts reviews from real customers. This round rubber bumper protects the rear of your trailer and provides cushion for your cargo as you load and unload. Pre-drilled bolt hole diameter: 1-1/4"
Distance between holes on center: 11"
Distance from last hole to end of bumper on either side: 4"
3-5/16" 96" 1-1/4" 4" 11" 9 9/16"
Initailly designed to mount on the rear of horse trailers to prevent damage to the trailer and the cargo, pre-drilled rubber bumpers have quickly risen in popularity with builders of all types of trailers. 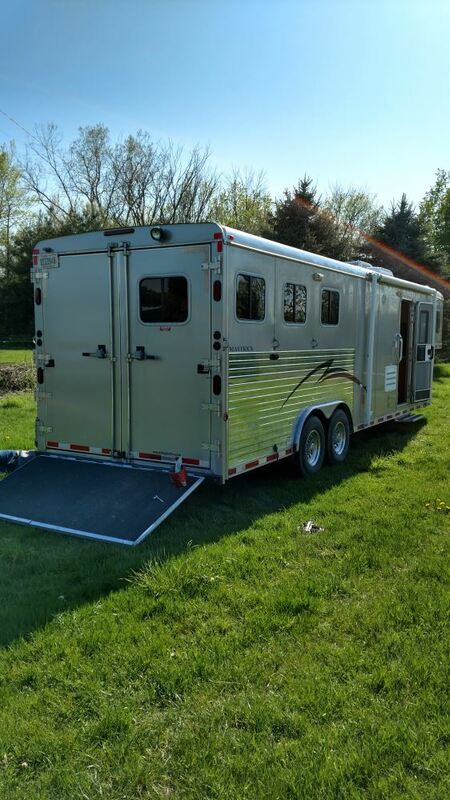 D3-96 Pre-Drilled Round Rubber Bumpers - 3-5/16" x 96"
Horse Trailer Side Pad - 60"
Horse Trailer Side Pad - 40"
Stainless Steel Fender Washer - 3/8"
Order: RelevanceNewestRating - High to LowRating - Low to High This round rubber bumper protects the rear of your trailer and provides cushion for your cargo as you load and unload. 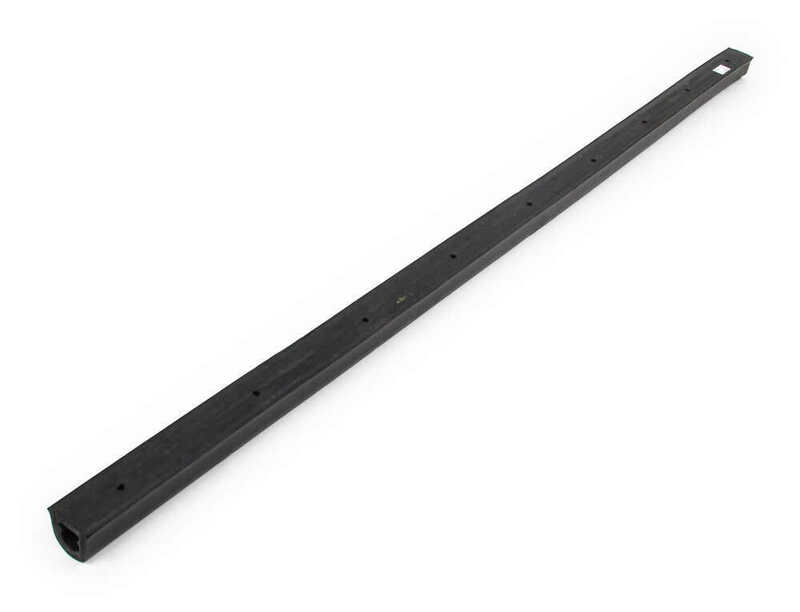 We don't have exactly what you're looking for but the Round Rubber Bumper Strip # D3-96 could work for you. The Redline Pre-Drilled Round Rubber Bumper # D2-96 can be installed in a variety of ways depending on the nature of the trailer. The holes are drilled all the way through to allow user-supplied hardware to mount it. We also offer a larger size bumper # D3-96 that measures 3-5/16-inches x 3-inches. No special tool is required for installation; you will use whatever tool is appropriate for the fasteners you choose. I went to our warehouse to personally handle the Redline Pre-Drilled Round Rubber Bumpers # D3-96 for you so I could advise you on their stiffness. These bumpers are quite firm. When I applied my palm to the bumper and leaned as much of my body weight as I could onto it, there was almost no compression at all. So this is by no means a soft or squishy product. I would say it is perfectly suitable to use in a boat slip to prevent hull damage or for similar applications. 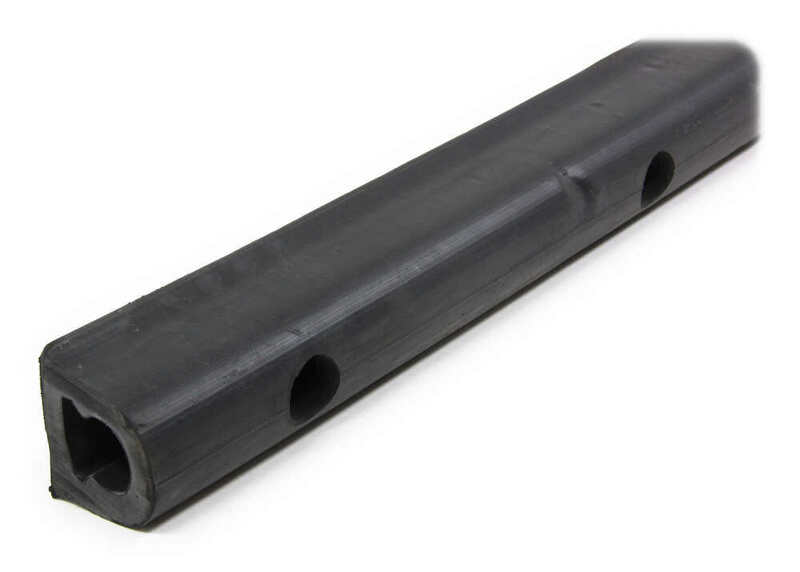 Yes, the Pre-Drilled Round Rubber Bumpers # D3-96 that you referenced can easily be trimmed down to length so that it would fit your application. After going out into the warehouse and looking at the bumper I would recommend either using a utility knife to very carefully cut it, or securing the rubber tightly and using a sawz-all to make the cut. The holes on your existing bumper seem to be about 11 inches apart. The holes on bumper # D3-96 are also 11 inches apart. You may have to drill a hole or two to get it lined up with the first hole but then it should line up nicely. I have also included a link to the right that will explain how to estimate shipping cost. You could use some self-tapping screws like # FA1131822 to avoid drilling holes first. If you know about where the wiring is you could position the bumper # D3-96 so as to avoid the wiring. Or another option would be to drill from the backside, if possible, so you can avoid the wiring for sure. Or another option would be some type of anchor bolt or screw but that would still require drilling. What you'd want to do is drill holes in the Pre-Drilled Round Rubber Trailer Bumper # D3-96 to match the mounting holes of your trailer and you'd be set. The bumper is rubber so it would be easy to drill. The pre drilled holes of this are 11 inches apart so it wouldn't match perfectly. We have exactly what you are needing with part # D3-96 when it comes to the bumper. This is a pre-drilled round rubber trailer bumper that is 96" long (8') and has 9 holes drilled that as 11" apart on center and take 9/16" bolts. Unfortunately we do not carry any steel support bars with these specs so you would need to source that elsewhere. Attached is an installation video for you to reference. 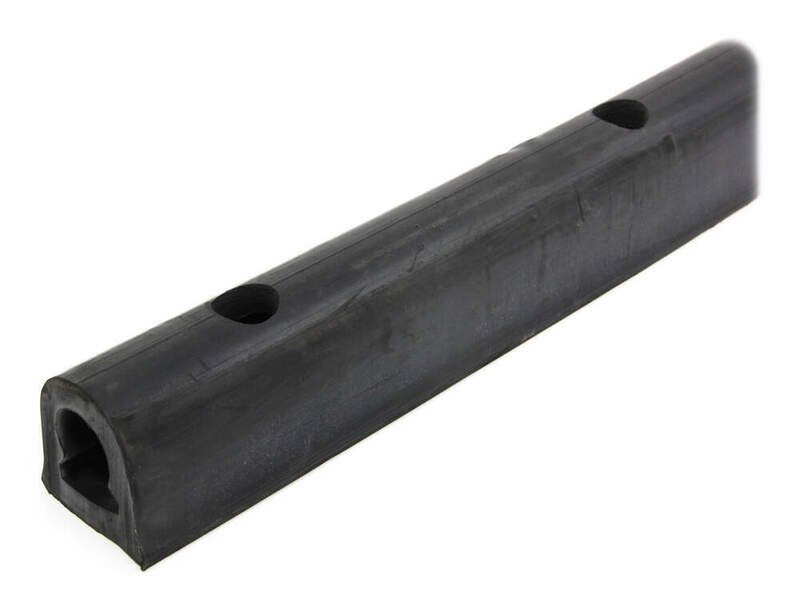 The Pre-Drilled Round Rubber Trailer Bumper # D3-96 does not require a steel mounting strip in the inside to install. This bumper has pre-drilled holes and all you need to do is use 9/16" bolts to bolt it onto the rear of your trailer and you are good to go.